Create engaging second screen apps in the fraction of the time and at a fraction of the cost with 4screens Studio. Discover the solution to disrupt the multiscreen world and take interaction with your viewers to the new level. Digital revolution greatly affected the entertainment market, especially TV which is suffering due to multi-screening. According to the recent findings from the Third Annual TiVo Multitasking and Social Media TV Survey, 99% of viewers admit to multitasking while watching TV, with 53% multitasking every time or almost every time they watch TV. TV is still the king of the living room – viewer tends to focus on TV shows primarily when using mobile devices. According to IAB study, smartphones and tablets are both used together whilst watching TV more often that it was last year. Tablets and smartphones both being used significantly more whilst watching TV vs. a year ago – nowadays 40 %, but viewers’ focus is still primarily on the TV when using these mobile devices. Marketers and publishers should take advantage of the second screen possibilities to deliver additional content to consumers related to the reality shows being shown. Right Content – Creating eye-catch visual content that catches audience attention. Right Time – Organizing and scheduling the content for fresh consistent coverage. Right Place – Distributing the content to all the destinations that engage viewers. Take a look at the screens below to discover off-the-air engagement. Catching users attention starts with the push notification at the time then the show starts. It works as a reminder and a trigger to turn on the TV and start watching the show with the App active on the mobile device. Chat with other viewers about the show. 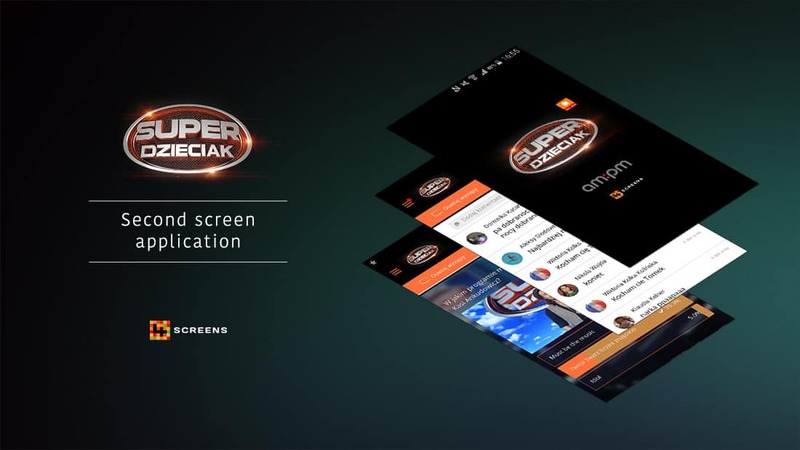 The App significantly raises the sentiment towards the show by engaging viewers in 100 % and not only during the show but also during the commercial breaks. Mobile App is easily accessible via Google Play and Apple App Store for free. The native solution works great on every screen and takes advantage of the full display. Broadcasters are using their channels to promote the app and boost the downloads. Moreover, the App is branded with the advertiser’s content. A special tab dedicated to the sponsor consists of the links to products and services. It creates an additional revenue stream. The typical timeframe for creating an app like that is counted in months. It involves communication with external developer agency, plenty of meetings and iterations. 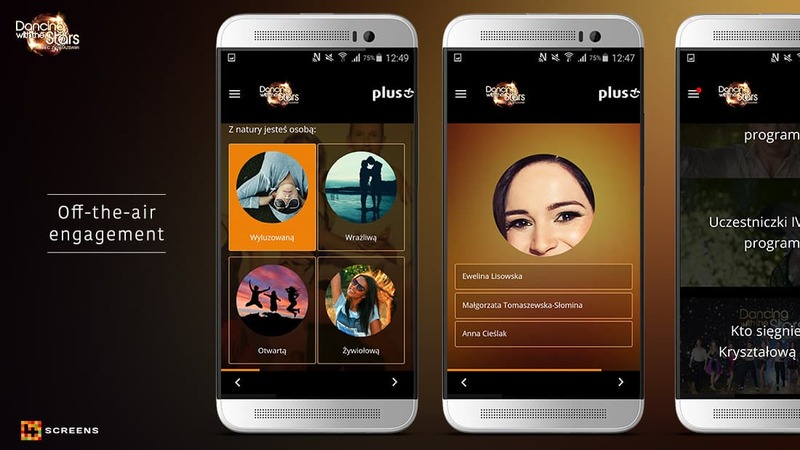 With 4screens Studio, it’s possible to create a sophisticated app in only a couple of days without any need of programming skills. Managing the App is also easy. Using our Content Management System (CMS) publishers can manage the App in real-time, reacting to the live events to boost interaction levels even more. Adding questions, switching between the quizzes and moderating the chat is also a piece of cake.